Sen. Dianne Feinstein, California Democrat and Senate intelligence committee chairwoman, said she expected to receive the information Thursday morning, just hours before Mr. Brennan’s hearing. The 16-page legal memo justifying drone attacks was obtained and published by NBC News earlier this week, and has reignited a heated debate over U.S. policy in the war on terrorism. Several lawmakers signaled that they would use Mr. Brennan’s hearing before the Senate intelligence committee as a chance to delve into the justification. In written answers to questions from the Senate intelligence committee before the hearing, Mr. Brennan described how individuals are targeted for drone strikes, saying whether a suspect is deemed an imminent threat — and therefore appropriate for targeting — is made “on a case-by-case basis through a coordinated interagency process” involving intelligence, military, diplomatic and other agencies. 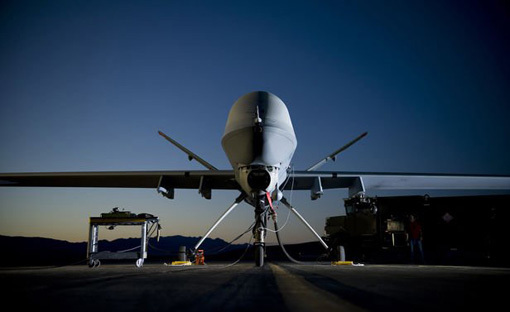 Democrats in Congress such as Mr. Wyden have begun to express stronger opposition to the use of drones, but the Republican response has been more muted. House Speaker John A. Boehner, Ohio Republican, on Wednesday declined an invitation to criticize the administration drone memo and Sen. Lindsey Graham, South Carolina Republican, expressed his “100 percent” support of the use of drones against terrorism suspects. Mr. Brennan’s nomination will also raise questions about American treatment of suspected terrorist detainees, including waterboarding. Sen. John McCain, Arizona Republican, wrote Mr. Brennan late Wednesday asking him to clarify whether he ever took steps to try to halt the practice and what other enhanced interrogation techniques he approved of. Mr. McCain also asked Mr. Brennan to explain whether the U.S. would be willing to see other countries adopt the same drone policies; what role he had in drafting the erroneous talking points that administration officials used to discredit reports of terrorism after the attack on the U.S. Consulate in Benghazi, Libya; and whether he leaked classified information last year to press outlets on the drone program, the government’s cyberweapons program or the operation that killed Osama bin Laden.